Good old Automotive News reported some juicy gossip regarding Fiat Chrysler Automotive. The gist of it is that FCA’s CEO Sergio Marchionne thinks making smaller cars in Italy is a waste of time and money. He is concerned that smaller cars are going to be commoditised and that the real margins lie in making larger cars. Resulting from this set of assumptions, stalwarts of the Fiat range will be axed and anything small and plausibly profitable shifted to outside Europe. The Punto – once a European top-ten car – and the MiTo (never a European top ten car) will be discontinued. Occasionally I trawl randomly among the newsroom pages of various car manufacturers. What did I find this time? The first marginally interesting snippet involves MG Cars. Despite it all, they are selling more and more cars albeit not many more cars. 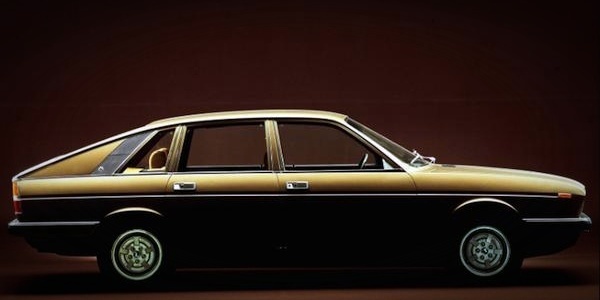 Much was made by Lancia of the Delta’s symbolism: change and continuity at the same time. Before it came the Lybra. Read on to see what that was like. Sixty this year, Lancia’s zenith gets the DTW spotlight. In contrast to the recent rather insipid Beta brochure, I can present a thoroughly aspirational 1975 Lancia HPE brochure such as this. Use as directed: 1975 Lancia HPE. Richard-Ginori is still in business. The 1973 Beta Coupé was slightly underwhelming – and to be honest, its sales literature was as well. In the previous two instalments we have looked at the car’s general background and the driving experience. In this instalment I’d like to gather together some of my reflections. Firstly, the way I view the Trevi now versus how it seemed to me twenty-seven years ago is markedly different. In 1990 I was studying geology which necessarily includes a bit of evolutionary history. At that time I had regular car conversations with one of the other students on the course. The way I described the Trevi then was to refer to it as “a hopeful monster”. In the first part I discussed the static qualities of the Lancia Trevi. In this part I will present my driving impressions. Don’t meet your heroes, they say. It’s bound to lead to disappointment. After stalking the Lancia Trevi for 26 years I finally got to drive one. So, you ask, how did that work out? Very well indeed, thanks: I got to satisfy my curiosity and did so without my hopes being dashed. Much like my short trip to Italy in June, this experience has got me thinking. And re-thinking. Recently I had a chance to be a passenger in an Alfa Romeo Giulietta 1.8 and took the chance to see how they solved the ash problem. Could we have imagined the 1985 launch of the Y10 would mark the beginning of Lancia’s final act. In 1989 the little Lancia Y10 looked like the runt of Lancia’s litter. What was it doing in the range? OK, so this relates to a TV series translated from a collection of detective books, but I’m hoping readers will allow me a little latitude. If that were my car, I would not be happy with even John Thaw placing his foot on the number plate. These usually mean big numbers. In Volvo’s case that means only 20,000 annual sales for the S90. This is how a decent car ends its days. 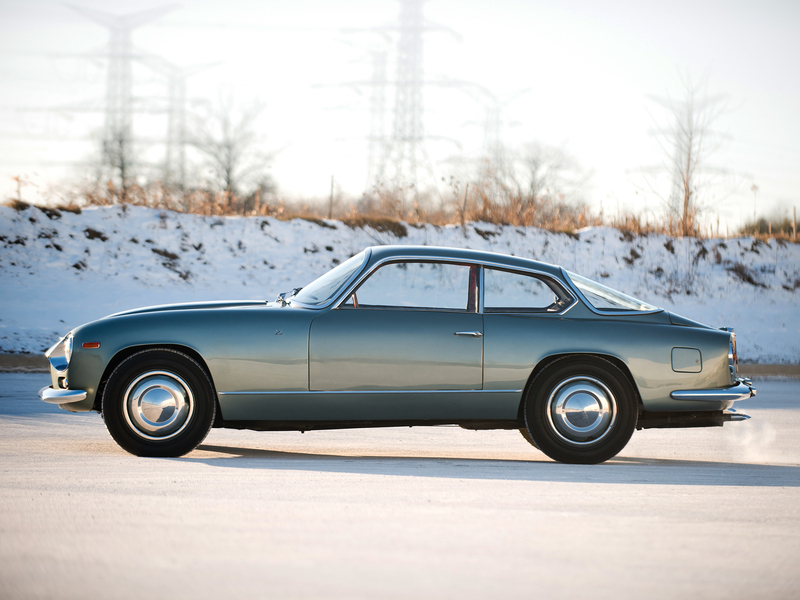 The Lancia Flavia coupe appeared in 1961 and stayed on sale with a name change until 1975. This is the first time I have ever seen one. Ever. Given Lancia made only 9028 examples of the Kappa SW, I see them often enough. 1994-2000 Lancia Kappa SW, Guben, Germany. Pininfarina did the design and construction and I expect charged Lancia more for this than Lancia made selling them. That makes them good value now. You’d want an SW if a Kappa saloon appeared too common, if a BMW 5 too mainstream, an XM too complex and a Scorpio too ugly and an Omega too banal. Here is an Italian car-park: Naples Airport. In a way, so to speak. If you lived in Italy you could be forgiven for thinking Lancia were still popular. At long last DTW has finally had a close look at the ashtray of a Lancia Lybra. 2002 Lancia Lybra centre console. As anyone has read a few books on Italian history will know, it’s a great bunch of countries. Only foreigners lump it all together as one nation. 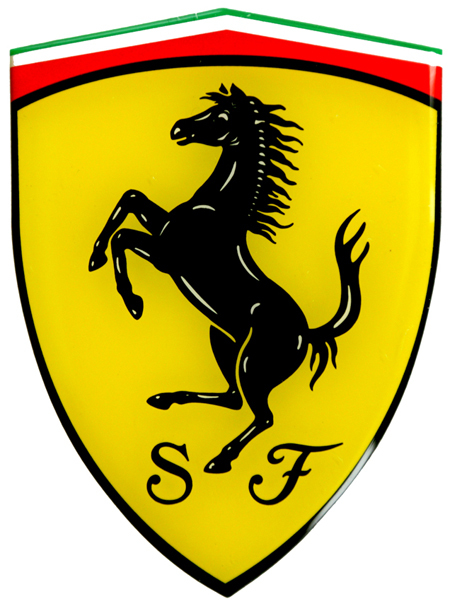 That gives us a bit of a head start in understanding how Italy’s values translate into the broad array of markedly different car companies being stifled under one management. What A Month It Has Been!! …as they like to say in the world of automotive print journalism. We covered a lot of ground in our theme of the month, Japan, and the response from our clique of readers has been heartening. Most of what I read this month from our readers and contributors was new to me, as was the material I waded through when researching my own items. Author richard herriottPosted on 30 Apr 2016 29 Mar 2017 Categories Not Exactly Cars, UncategorizedTags Honda, Jaguar, Kei cars, Lancia, Nissan, Subaru, Toyota4 Comments on What A Month It Has Been!! I found this postcard in a charity shop among fifty other relics from someone’s trip to Switzerland and northern Italy. 1969 Lancia Flavia saloon in Stresa, Italy (the Palace of Congress). The car is 1969 Lancia Flavia saloon. That shadow is a little unfortunate. Can anyone say what the car in the background might be? We asked that question a while back. Quite by chance I found this concept car done by or under the superivision of Signor Fumia. The Gamma Berlina’s appearance would divide opinion. In this part, we examine the concept that inspired it. In Part 1, I made it as far as the Lancia Flaminia and not much further. In this instalment I will kick and jostle myself so I can cover more ground in fewer words. Recently I promised to write more about my visit to the Sommer’s Automobile Museum in Nærum, outside Copenhagen. Today I’ll introduce the museum and the first car that drew my fascinated gaze. Curbsideclassic provided the inspiration for this short post. The article provides a nice run-down on these wonderful cars. The tale is etched in automotive folklore, but how well do we really know the Lancia Gamma ? In this series, we unravel its difficult birth and inglorious career. The 1976 Lancia Gamma Berlina. Image via ourclassiccars. 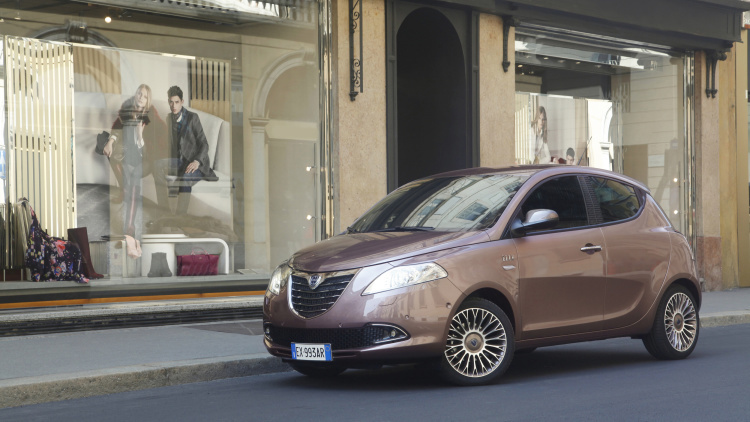 If we collectively believe the current Ypsilon represents Lancia’s nadir – (although I would beg to differ) – I think we can agree this car represents the marque’s apogee. Ah well. From Lancia Aurelia, Florida and Gamma to Trevi, Lybra and the rebadged Chryslers and on to this, the Elle edition Ypsilon. Bravo, FCA. Just a few days ago I noted that we at DTW had not treated BMW to some of our ire. Here is some ire. Or something passing itself off as such. Theme: Engines – The Greatest? Italy’s engineering giants slug it out for your entertainment. 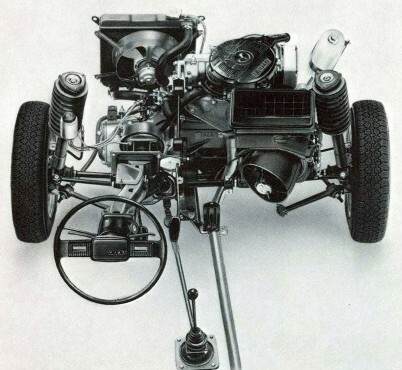 Author Eóin DoylePosted on 31 Aug 2014 12 Apr 2017 Categories Engines Theme, Monthly Themes, Technology & Engineering, The HistoryTags Alfa Romeo, Aurelio Lampredi, engines, Ettore Zaccone Mina, Fiat, Giulio Alfieri, internal combustion engines, Lancia, Lancia Fulvia V4, Mauro Forghieri, Orazio Satta Puliga, Vittorio Jano9 Comments on Theme: Engines – The Greatest? 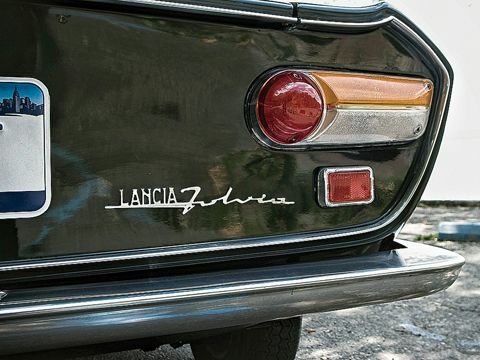 The badging on the rear of this first series Lancia Fulvia coupé is rather lovely. It resembles a signature and perfectly encapsulates Lancia’s quality ethos at the time. This wasn’t a cheap car and the badge told you this with elegance and eloquence. Lovely and wrong: Richard Herriott assesses Lancia’s former flagship.